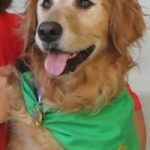 Dog Hall of Fame – Pets On Wheels of Scottsdale, Inc. The Pets on Wheels of Scottsdale’s Hall of Fame, was established in 2003 to honor pets which, with their owners, have stood out above the rest over a period of several years. Each had made over 250 visits and had contributed in several other ways to significantly advance the pet-visitation therapy program. All inductions into the Hall of Fame are made following retirement and most often posthumously. A smiling perky Schipperke, accompanied his human companion, Peter Baxter on 800 visits, since 2006. Dodger visited, with Peter, nine different skilled nursing homes, bringing many smiles. He would often entertain by dancing a little jig. Dodger also attended many events, helped with evaluations of new dogs, and attended monthly meetings. He helped Peter with the shirt distribution. These three beautiful puppies rode in a Red Radio Flyer wagon. The wagon was powered by their human companion, Kathy Sins. Together they made a combined total of 1455 visits brightening many lives. The facilities were Heritage Court, Villa Octillo, Haven Health and the Gardens. Their “lovableness” charmed many people at all the events they attended. The illness of their Human Companion led to their retirement. 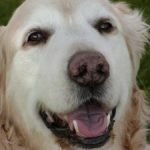 A sweet, beautiful Golden Retriever and companion of Kathy Homes have visited over 500 times since 2008. In May, 2017, Missy retired from her visits to Pueblo Norte, Westminster Village and assisting Kathy in evaluating new volunteers and dogs. Missy brought joy and comfort to everyone that she met. An adorable, perky Sheltie and companion of Warren Clark have made 565 visits since joining Pets on Wheels in 2011.Â Pepper retired in October 2017 from visits to Fountain View Village, Piper Cancer Center and attending events. Pepper also assisted with new volunteer evaluations and the Pet Safety School program. Her visits will be missed by all. This sweet, adorable Poodle Mix, and very special companion of Fran Wiesenberger made 390 visits since March, 2009. Visiting Cortney’s Place, Scottsdale, was the highlight of the day as Riley brought joy to everyone she met. Sadly, Riley, crossed the Rainbow Bridge in March, 2017. RIP Riley. 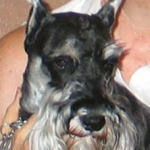 A lovable, miniature Schnauzer, and companion of Susan Leeper made 279 visits since August 2010. Together they visited Westminster Village and Virginia Piper Cancer Center bringing joy and comfort to everyone he met. Casey retired in July 2016. This beautiful Labrador and her companion, Ed Faber, made 261 visits since joining Pets on Wheels in August 2008. This team began visiting Pueblo Norte and finally at Vi-Silverstone. 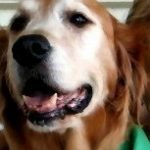 Jasmine crossed the Rainbow Bridge in September 29, 2016. RIP Jasmine. dedicated volunteers have made over 500 visits. An adorable Shih-Tzu Pug and beloved companion of Kathy Sins visited Heritage Court, Scottsdale Rehab. and The Gardens as part of The Three Amigos team.Â Riding in his red wagon, Ziggy made over 500 visits in the past 5 years as well as assisting Kathy at events and with new volunteer evaluations. 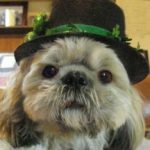 He crossed the Rainbow Bridge in Sept. 2015. Ziggy will be missed by many residents, staff and our volunteers. 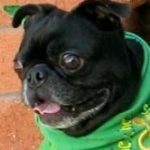 A handsome Pug/Boston Terrier mix (Bug), companion of Elaine and Caroline Goldenthal visited Pueblo Norte Senior Living Center 410 times between June 2004 and May 2014. During Herchel’s 10 years of service, he assisted Elaine with over 55 new volunteer evaluations capturing many awards including three Presidential Volunteer Service Awards, a Pets on Wheels Watch, a Coyote Mug and 10 service award trophies. Herchel crossed the Rainbow Bridge in May, 2014. RIP Herchel. A beautiful Greyhound and companion of Chris Barnes, made 250 visits to serveral health care centers and the Virginia Piper Cancer Center during her 4 years of service with Pets on Wheels. Residents and patients had over 4,000 opportunities to meet Pepper and always enjoyed her gentle nature. Chris and Pepper also assisted with special visits and fund-raising events before retiring Pepper in March 2014. Sadly, Pepper crossed over the Rainbow Bridge in May 2014. 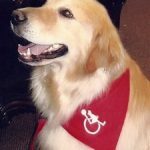 A handsome Golden Retriever and companion of Ron Lonie (past President), made 324 visits, a record number of visits during a 3-year period. Murphy and Ron visited Advanced Health Care, Shadow Mountain, Piper Cancer Center and many other Scottsdale health care centers. Murphy supported Ron at dozens of events and evaluating new volunteers. He was always a favorite at the care centers. Murphy crossed the Rainbow Bridge in Feb, 2013. 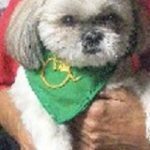 A cute Shih-Tzu and companion of Kathy Sins, made 801 visits between February 2006 and 2013. He charmed the residents at The Gardens, Heritage Court, Scottsdale Nursing & Rehab. and many home-bound individuals. The team helped with many public events, especially the Blessing of the Animals. Costumes were Paladin’s specialty and he assisted Kathy with evaluations of new volunteers. 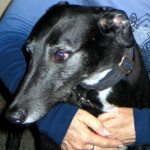 Paladin was 16 when he crossed the Rainbow Bridge in June 2013. 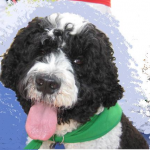 A handsome Portuguese Water Dog, companion of Marsha Goodman, visited Pueblo Norte and Scottsdale Radiation Oncology 300 times between 2006 and 2013. In 2011, Willie was honored as an “Arizona Cancer Hero” by Electa [pioneers in clinical solutions]. This special honor was given due to his ability to lift the spirits of the staff and patients at Scottsdale Radiation Oncology. Additionally, he assisted Marsha with evaluations and participated at many events. Willie retired in June 2013. 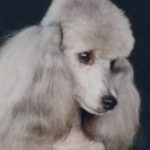 A miniature Poodle, companion of Neal & Anne Jennings (Founders/past President), visited health care centers in Scottsdale, AZ between 1998 and 2012. He entertained hundreds with his tricks and obedience skills. Luncheon shows and fund raisers were his specialties. Clyde was featured in the Pets on Wheels orientation video, TV interviews and on national calendars. He also helped evaluate new volunteer teams. Clyde crossed the Rainbow Bridge March 2012. 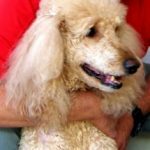 A beautiful Standard Poodle, companion of Barry Solzberg, visited residents at Pueblo Norte 303 times during the 10-year period 2003 to 2013. Over 5500 times Barry asked a resident âWould you like to meet my dog?âÂ Phoenix, a devoted volunteer pet, retired December 2012. 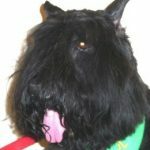 A Bouvier Des Flandres, with her companion, Albert Scherr, visited 725 times (over 9 times a month), at Life Care Center, Fountain View, and the Virginia G. Cancer Center. She made over 12,300 contacts with the residents and patients. Hannah’s size, 85 pounds, and friendly nature endeared her to residents and staff members. She passed over the Rainbow Bridge in January 2010. Albert was the most senior volunteer in the Pets on Wheels program. 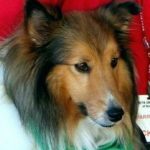 A Shetland Sheep Dog, with his companion, Warren Clark, visited the Fountain View, Life Care Center, and Life Skills classes at Chaparrel and Coronado High School’s 946 times from June 2002 until July 2010 — 8 years. That’s an average of 10 visits a month, or over 16,000 individual contacts. MacKenzie and Warren also helped many times at events, meetings, and with the event canopy. Warren has trained MacKenzie to be his “hearing ear” dog — great volunteers and memorable contributions to the community. 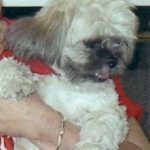 A Shih Tzu, with her companion, Eileen Babington, visited over 9 years 1999-2008, at Plaza Health Care, Life Care, and Kindred Hospital. 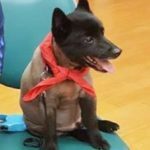 Amber made 265 visits including making children’s pet education presentations and dozens of fund raising and PR events — about 4,537 personal contacts. Amber helped Eileen in evaluating new volunteer pets, manning outdoor and indoor events, and making the Macy’s Sale Day a most effective annual fund raising event. She was by Eileen’s side at Board meetings, and the many events Eileen coordinated. 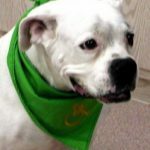 Amber shared her home life, and traded visits with Sassy, a Jack Russell Terrier. 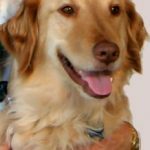 A Golden Retriever, with his human companion, Peggy Eischen, visited nursing homes in the City of Scottsdale over 320 times during the 7-1/2 years 2002 thru July 2009, especially Scottsdale’s Nursing & Rehabilitation Center. Over 5,300 times Peggy has said to a resident or patient, “Would you like to meet my dog?” Chester was a regular at Macy’s annual sale, Blessing of the Animals, and helping in the booths at other special events. He helped Peggy evaluate new volunteer prospects and coordinate visits to children at the High School’s Life Skills classes and Cortney’s Place. 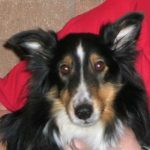 Chester was a loyal and helpful teammate, crossing the Rainbow Bridge in April 2010. 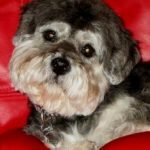 A Shih Tzu mix, with his human companion, Louise St-Arnault, visited nursing homes in the City of Scottsdale 258 times during the 8 years 2001 to 2009. Some 4,360 times Louise asked a resident if she would like to see her dog. Chipper, a cute little guy, charmed the residents at the Scottsdale Nursing and Rehabilitation Center (formerly Monterey). 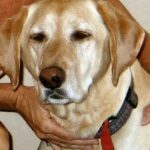 A Yellow Labrador Retriever, with his companion, Stacey Jarriel, visited 262 times from 2001 to 2009 at Fountain View and Westminster Village health care centers.Â Earlier visits were made to Healthsouth Rehabilitation Hospital. Some 4,400 times Stacey has asked a resident, “Would you like to see my dog, Grizzly?” Over an 8-year period, Grizzly missed only 2 months, due to knee surgery. At the age of 14-1/2, Grizzly was retired. The residents will miss him greatly. 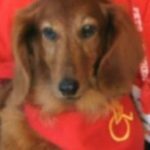 A long-haired Dachshund, with her companion Margaret Bird, visited 345 times at Pueblo Norte Nursing Home, the Virginia G. Piper Cancer Ctr., and Courtney’s Foundation during the years 2002-2009. Over 5,800 times, Margaret asked a resident or patient, “Would you like to see my dog, Naomi?” Naomi also supported Margaret with her duties on the Board of Directors and handling pet health records. They visited in Flagstaff during the summers and Margaret’s mother in the West Valley, under the auspices of the Delta Society. 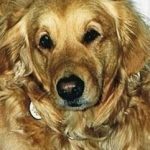 A Golden Retriever, with her companions, Andi & Jordi Bock, visited 394 times, at Healthsouth Rehabilitation Hospital, Life Care Center, and the Piper Cancer Center, from June 2001 until Shayna’s retirement for health reasons, in January 2009 at age 11. Shayna was also involved in the children’s pet safety project for many years, as well as helping with many outdoor events. All in all, Shayna was in contact with 6,700 individuals as a result of these many visits. 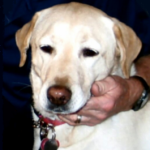 She joins her former kennel mate, Kayla, who was inducted into the Hall of Fame in 2006. A West Highland Terrier, with his companions, Jerry and Kathy Miller, visited for nearly 11 years at the Weyrich Care Center at Westminster Village. Cody retired at age 13, after 273 visits and 4,741 contacts with the residents. Jerry and Kathy handled the logo shirt sales. 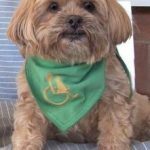 Cody was always happy to get his bath, don his logo scarf, and head off to the care center. 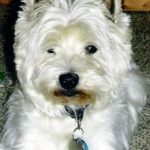 The Millers got Cody from the West Highland Terrier Rescue group at age 2, after he recovered from a broken collar bone. 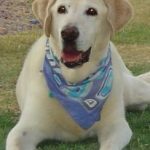 Golden Retriever, with his human companion, Susan Smith, visited nursing homes in the City of Scottsdale over 393 times during the 11 years 1996-2007. Over 6,510 times Susan said to a resident, Would you like to meet my dog? Zach helped Susan in many other ways during that time, evaluating new volunteer teams, manning event booths, teaching children pet safety, showing off at Macy’s sales and Blessing of the Animals booths, and being by Susan’s side at board meetings. 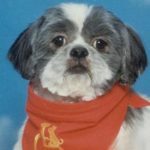 A Lhasa Apso, with his human companion, Kathy Sins, visited nursing homes in the City of Scottsdale nearly 1,200 times during the 11 years 1996-2007. Over 20,400 times Kathy said to a resident, Would you like to meet my dog? Mr. Peabody and Kathy even followed some residents when they were moved, so they could continue their relationships. Mr. Peabody shared most of the visits over the years with Oreo, who belonged to Kathy’s mother, Dorothy Sins. 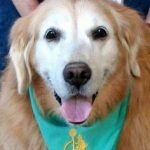 This sweet Golden Retriever, with her human companions, Jordy and Andi Bock, visited nursing homes in the City of Scottsdale over 250 times during the 6 years 2001-2006. 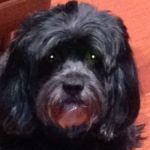 Over 4,300 times Jordy or Andi said to a resident or patient, Would you like to meet my dog? Kayla, with her kennel mate, Shayna, helped with the Children’s Pet Safety project, at the Virginia G. Piper Cancer Center, at special events, and in many other ways. A cuddly designer dog, with his companions, Kathy and Terry Schroeder, visited 300 times during 9-1/2 years, 1996-2006. Over 5,400 times, Kathy asked a resident or patient, “Would you like to see my dog, Ricky?” Kathy is a pet groomer and clipped Ricky so beautifully that many thought there should be a special breed like Ricky. Ricky helped Kathy as an evalutator of new volunteers. Also, Kathy was a presenter at one of the Pets on Wheels quarterly meetings. Ricky retired in 2006 when the family moved. 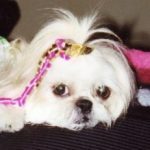 A Shih Tzu, with her human companion, Dorothy Sins, visited nursing homes in the City of Scottsdale 800 times during the 10 years 1996-2005. Over 13,400 times Dorothy said to a resident, Would you like to meet my dog? This pet therapy team devoted extra time and effort for the residents, as well. Sharing their pets’ love was a weekly must for both Dorothy and her daughter, Kathy. 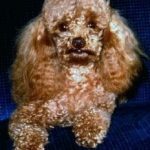 An adorable toy poodle, with his human companion, Mary Seeman, visited nursing homes in the City of Scottsdale over 570 times during the 13 years 1992-2004. Over 9,120 times Mary said to a resident, Would you like to meet my dog? Ralf and Mary collected monthly visiting records and were helpful to the program in many other ways during that time, as well as attending every meeting during all of those years. Boxer, with her human companions, Helen & Bob Caldwell, visited nursing homes in the City of Scottsdale over 308 times during the 10 years 1994-2003. Over 5,230 times Helen and Bob said to a resident, Would you like to meet my dog? 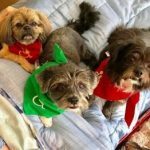 This pet therapy team was helpful to the program in many other ways during that time, such as Helens position on the Board of Directors and as the Statutory Agent.